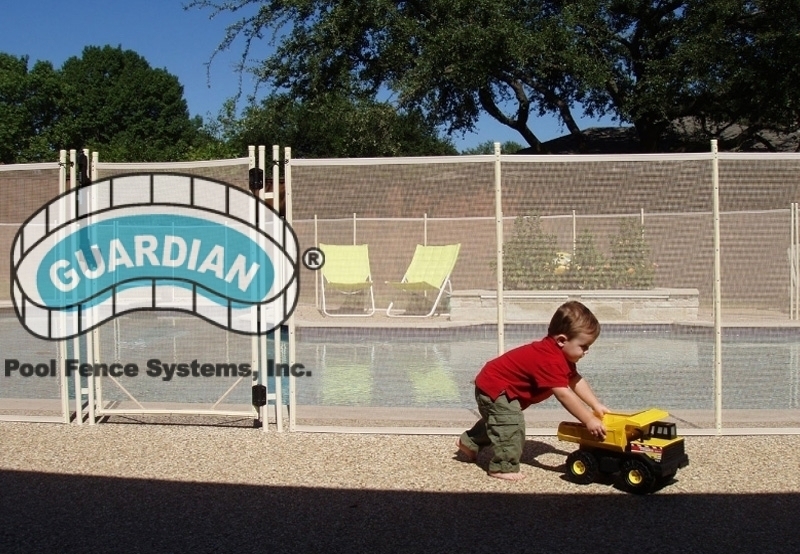 Guardian Pool Fence Systems is proud to introduce to you the first “No Holes” pool fence system in the world. 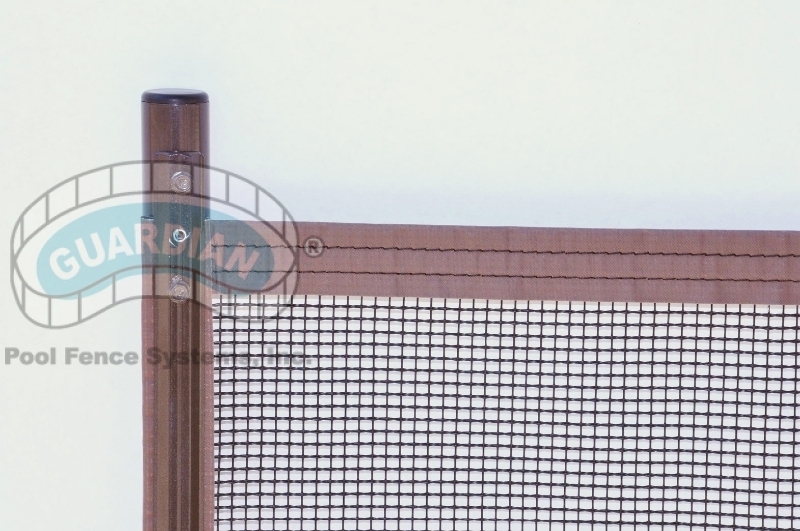 After years of research, this ingeniously engineered No Holes fence is the first of its kind. 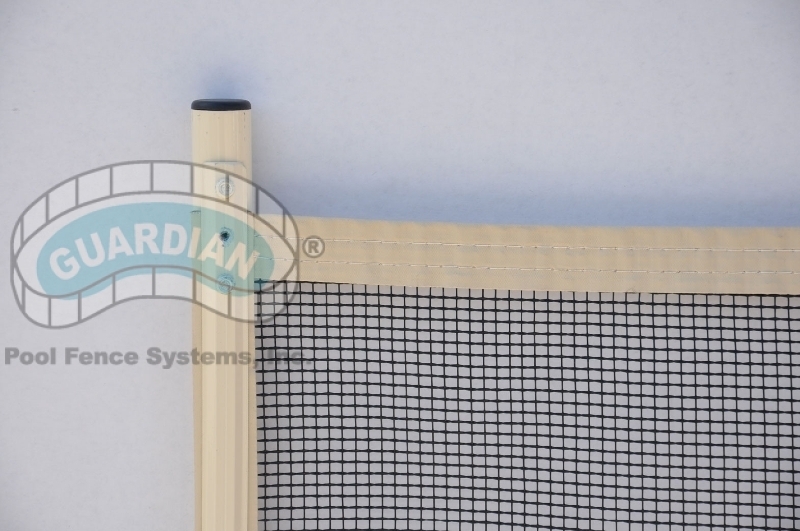 Whether you’re a renting a house, only have children visit occasionally, or you simply don’t want to drill holes in your deck, we have engineered a solution for you. 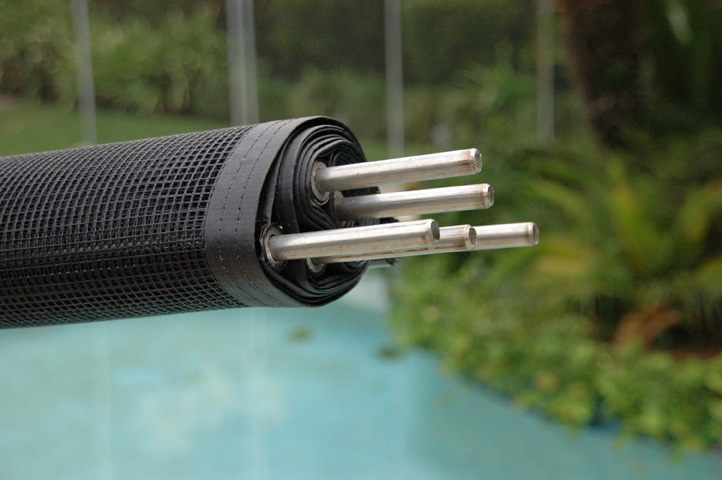 Our No Holes Pool Fence provides a sturdy base for our poles to stand from. 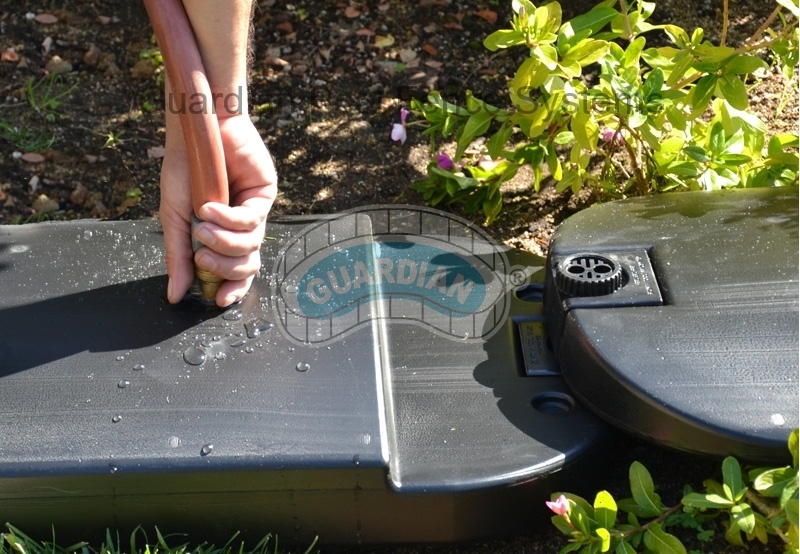 These bases, when connected and filled with water, become extremely difficult to move, securing your fence in place, yet upon emptying, are easy to remove and store. 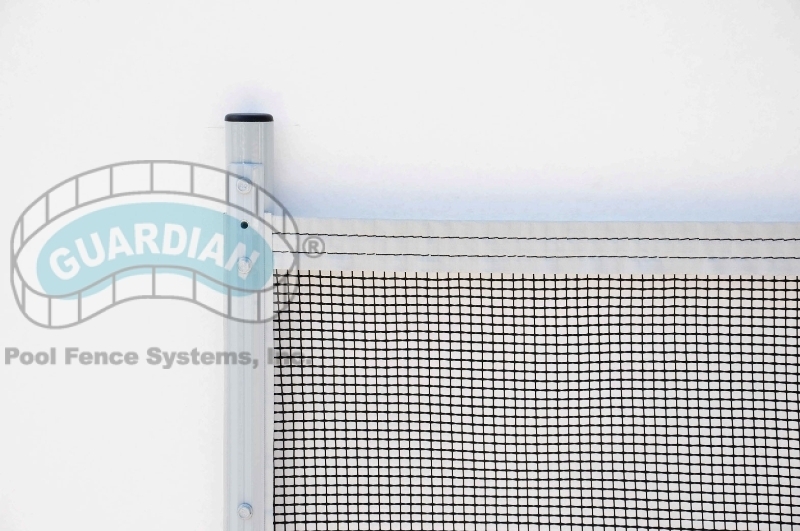 You can bet our No Holes Mesh Fence will provide the same quality and safety you have grown to expect from a Guardian product. 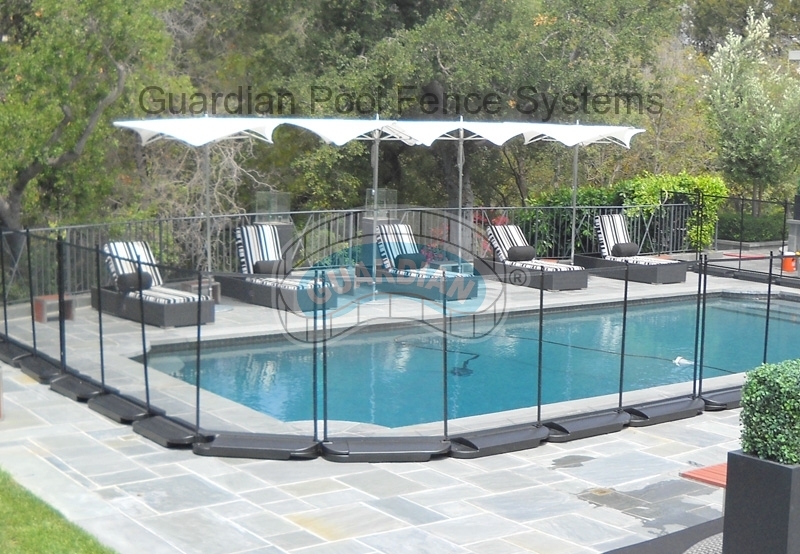 Place the high-density polyethylene bases around the pool or area you want to block off and securely connect the bases. 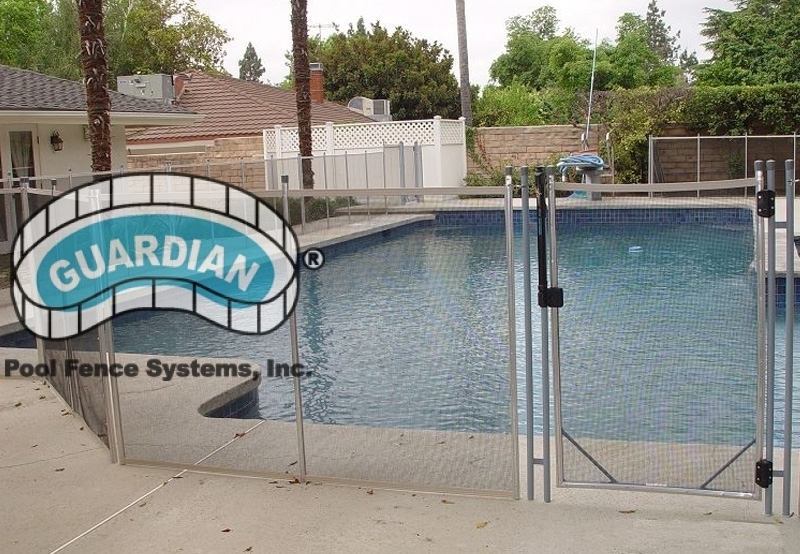 After the bases are properly placed, connected and filled, you can then install our Guardian Premier Pool Fence into the bases and finish securing the mesh panels by hooking our spring-loaded safety latches. 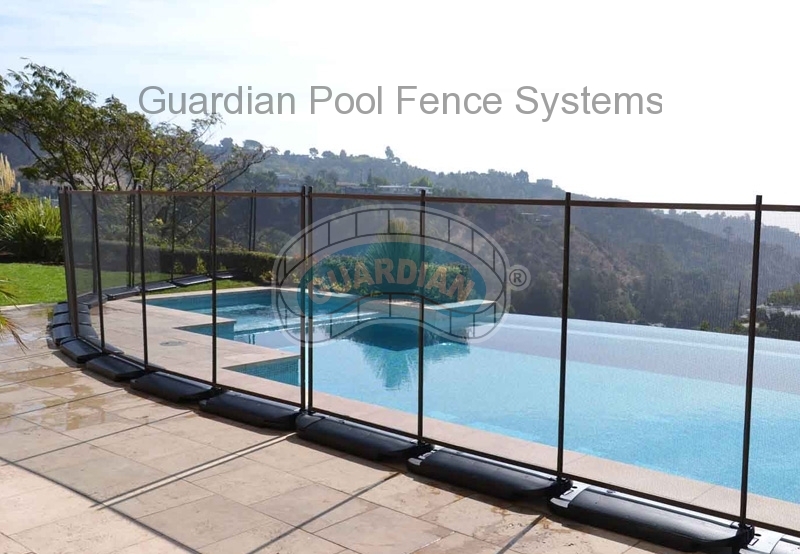 The Guardian’s No Holes line pool fencing system is available in 48″,(4 ft) 54″ (4.5 ft) and 60″ (5 ft) heights. 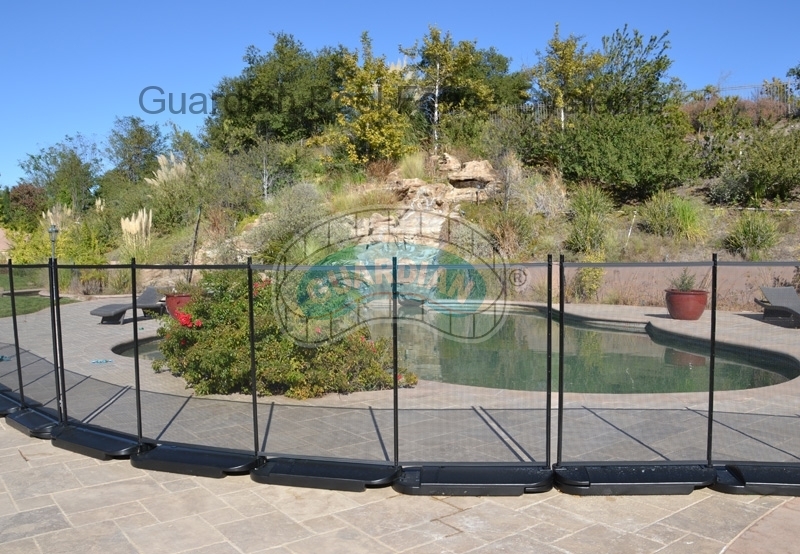 See our articles about picking the right color and the right height for your mesh safety fence. The bases are 3′ long. They weigh around 65 pounds when filled with water. 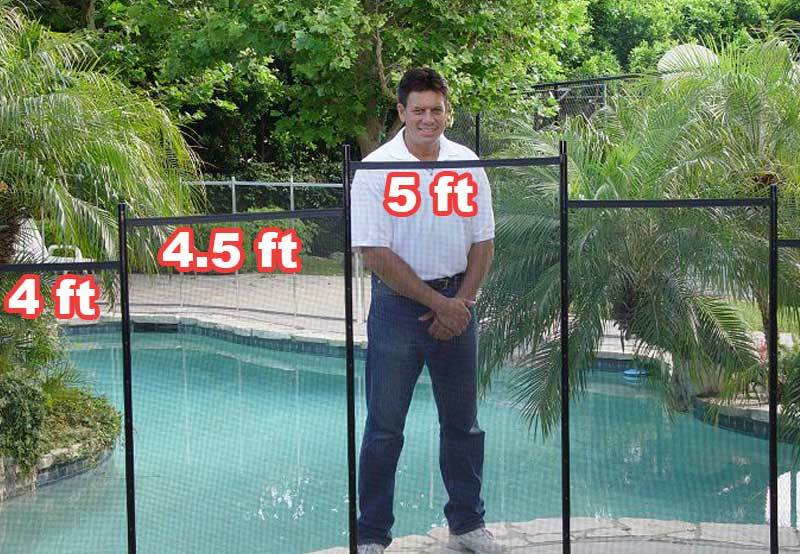 Each 12-foot section of fence will weigh approximately 260 pounds. 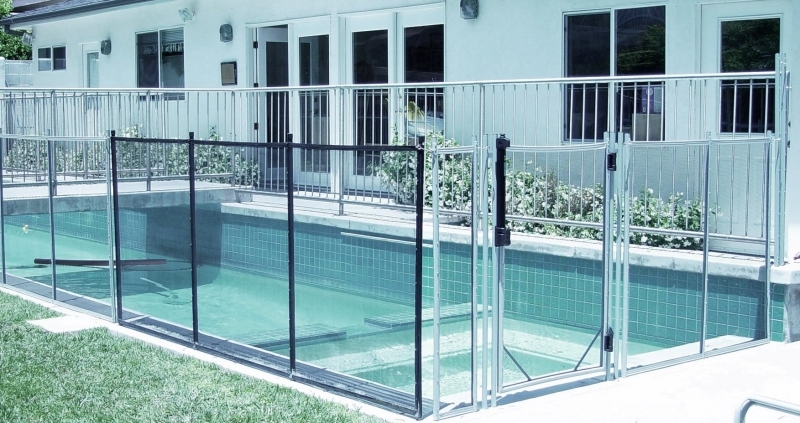 Because the collective weight is so heavy, children and pets are unable to knock the fence over to gain access to the pool. 4 foot, 4 ½ foot or 5-foot heights. Custom heights are available. Pricing will vary. *The minimum height recommended by the U.S.C.P.S.C. is 4 feet. 5 stands x 5 strands per square inch weave. 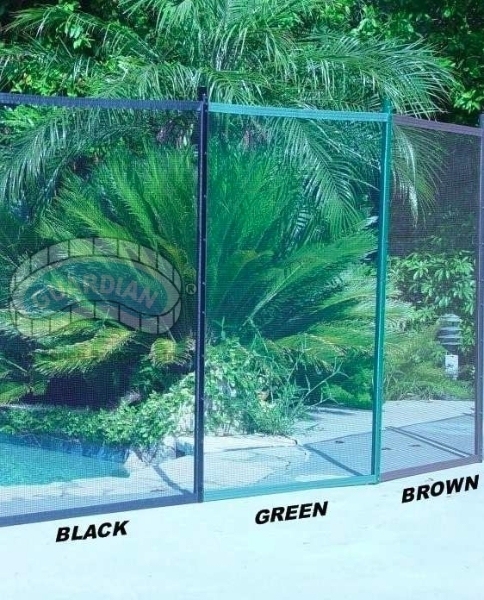 Available in black, brown, and green. 10 strands X 10 strands per square inch weave. 11 strands X 16 strands per square inch weave. 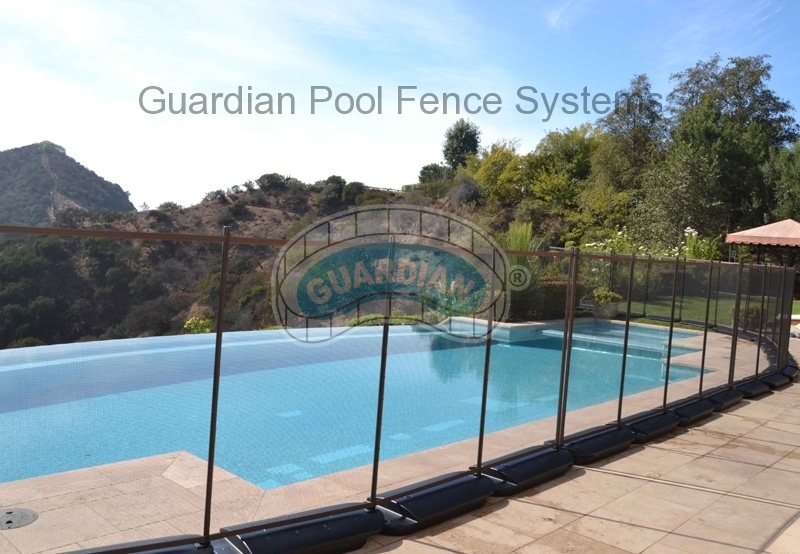 All Guardian Pool Fence Systems hooks and eyes are made from 304 stainless steel. 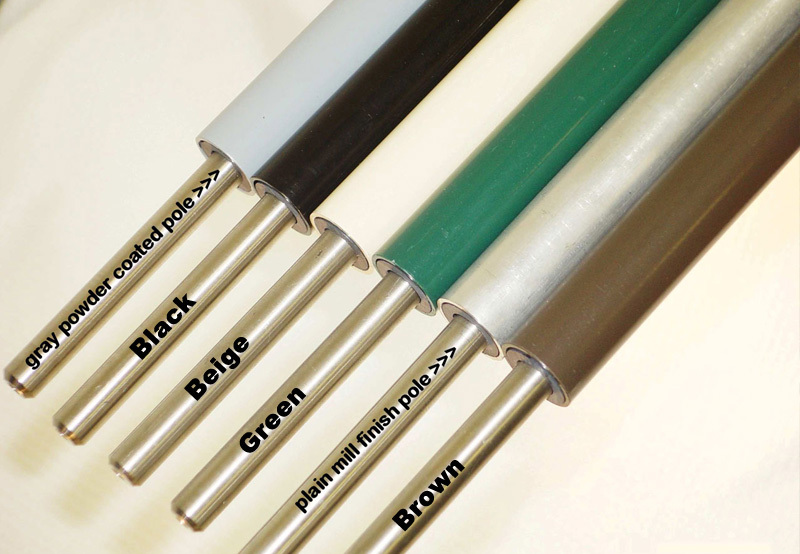 BLACK TEFLON coated stainless steel hooks & eyes are used with dark colored poles and stainless steel finished hooks and eyes are used for light colored poles. We coat the hooks and eyes strictly for aesthetic reasons. 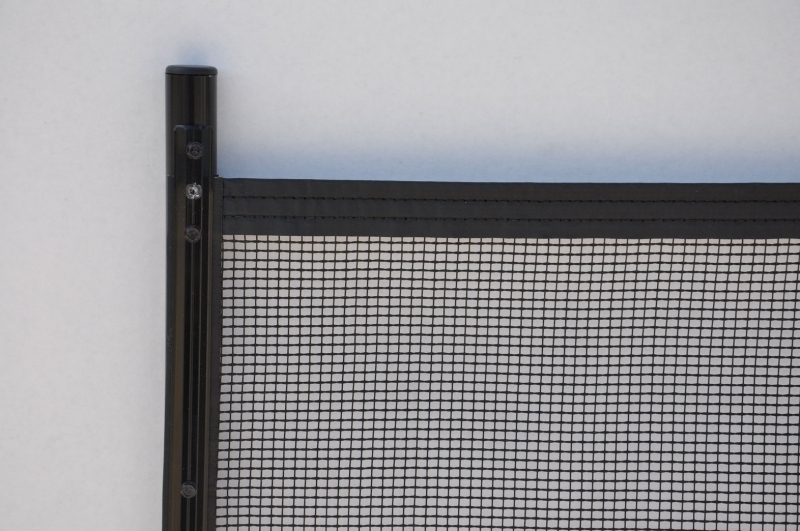 Our Teflon color coat will not peel. Our padlocks are made of solid brass with a solid brass shackle. 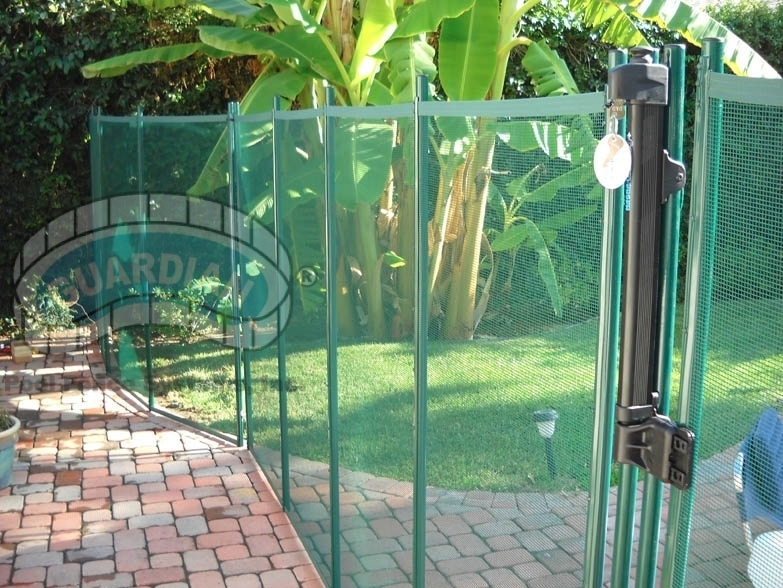 To prevent unauthorized removal of the fence, padlocks can be used to lock adjoining fence panels, requiring a key for fence removal. 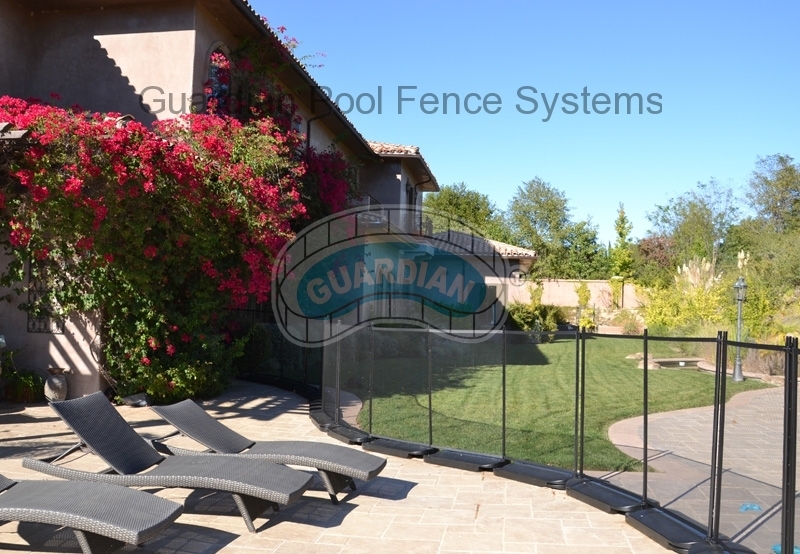 The average pool fence needs between 10 and 15 padlocks.